An Illinois Policy Institute analysis of U.S. Census Bureau data found that Illinois's working-age population declined by 41,000 from July 2016 to July 2017, even though the United States' prime working-age population grew by almost 450,000 over the same time period. The state also saw slower population growth in every working-age population category, which includes people between the ages of 25-54. "Illinois is losing its workforce to other states because of its bad economic policies. A shrinking workforce has serious implications for the long-term health of our state’s economy," said Orphe Divounguy, chief economist at the Illinois Policy Institute. "The state should be focused on making it an appealing decision for working-age people and young families to plant roots in Illinois through policies that will reduce the cost of doing business and improve living standards." The state has been entrenched in a crisis during a period of economic stability in the rest of the nation. 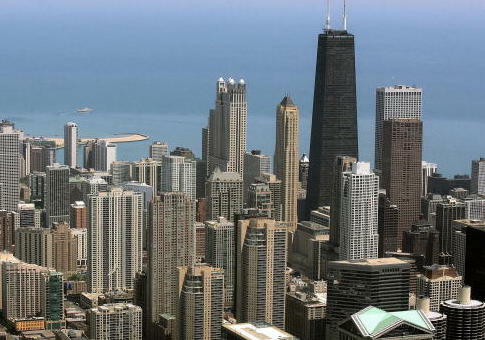 Illinois experienced 28 percent slower income growth than the rest of the United States from 2015 to 2016, according to the Bureau of Economic Analysis. Hiring has also proved more rare; the unemployed face more hurdles in finding work than their counterparts in other states. Illinois job seekers stayed unemployed 33 percent longer than unemployed workers in the rest of the nation. Divounguy said Illinois's past fiscal policies have crippled the state's economy. The state has doubled down on tax increases to deal with its budget crisis that has seen billions of dollars in unpaid bills racked up in recent years. Lawmakers attempted to address budget shortages by hiking the state income tax in 2011 and 2017, but those measures have only exacerbated the exodus of workers, according to Divounguy. The income tax hikes "have a negative impact on people's pocket books," Divounguy said. "If you shrink my disposable income, the chances are I'm going to spend less or invest less." Though the Great Recession ended in 2009, Illinois experienced a 5 percent decrease in working-age population growth since 2010 while the rest of the nation enjoyed a 1.4 percent increase in that demographic. The most striking disparity was in the 25-29 age range, which grew 1.5 percent nationally yet shrank in Illinois. Divounguy said the divergence between the national average and that of Illinois appeared to correspond to the 2011 tax hike, which raised the personal rate to 5 percent—a 67 percent hike over the previous 3 percent. Lawmakers said the hike would be temporary—meant to address the effects of the Great Recession—but it has yet to fall back to 3 percent. IPI found that inflows and outflows of Illinoisans were almost equal at around 1.9 percent before the 2011 tax hike. After the increase, working-age individuals began to leave the state. He said workers respond to tax increases by reducing their market activity or by moving to places where jobs are in demand. Even Chicago, which has historically driven economic activity in Illinois, has experienced out-migration among the workforce. The United States Census Bureau report also shows that both white and black populations in Illinois declined in 2016 and 2017, while all other races saw growth in their respective populations. Since 2010, the white population has declined the most in the state at 1.5 percent. "Some people say ‘well it's just a black migration problem,'" Divounguy said. "Actually, it's not. It's more than that." Divounguy said Illinois could expect the tax increases to continue unless major tax reforms are enacted. He said the state hasn't had a true balanced budget in almost two decades. "It saddens me to say they're not moving in the right direction," Divounguy said. "We're not seeing the changes that we're advocating for." Illinois legislators are working on a proposed amendment to the state constitution that would limit growth in state spending to the growth rate of the state's economy. Currently, 12 state senators support the amendment. The Illinois General Assembly did not vote on the amendment during the 2018 session, however. It will have to wait until the next fiscal year to settle the state's budget crisis. This entry was posted in Issues and tagged Debt, Illinois. Bookmark the permalink.